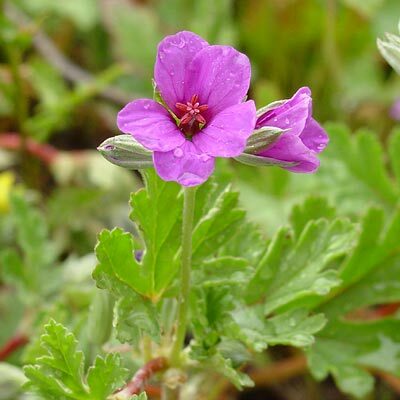 Description: The flowers have 5 petals and are up to 1 1/2 inches (3 cm) in diameter. The fruit is long, slender, and beak-like. The leaves have depressed, often reddish veins and are scalloped and pinnately tri-lobed with a large central lobe. 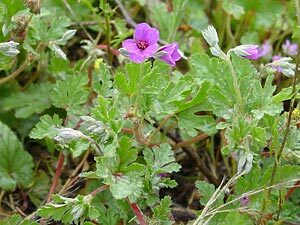 The stems are usually reddish. The plants are low growing and spreading.